Over the past eleven years, the photographer and filmmaker Bruce Weber and his partner Nan Bush have published the book series All-American featuring works by artists, photographers, essayists, poets, and personalities whose lives and accomplishments they wish to celebrate. Sometimes the subjects of All-American are already well known in their own right. But just as often the participants are relatively unknown, noteworthy because their stories or accomplishments reveal something that Weber and Bush believe will resonate with readers on a more personal level. All-American Volume Twelve: A Book of Lessons presents an eclectic lineup of American talents whose potent personalities and creative works exemplify freedom, conviction and inspiration. The “lessons” of the book are discovered through their individual journeys—actor and activist Danny Trejo narrates his unlikely path to fame, Polly Mellen speaks to the importance of curiosity throughout her illustrious career as a fashion editor, and musician/producer Nile Rodgers sheds light on his hit-making alchemy. The evolving art scene in Detroit is considered from two perspectives—first through an examination of student works and the craft tradition at the Cranbrook Academy of Art, then through conversations with prominent arts organizations in the downtown area. The book also features tributes to the late Grove Press publisher Barney Rosset, the Chicago-based oral historian Studs Terkel and the socialite turned Taos activist Mabel Dodge Luhan. 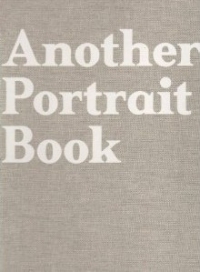 In addition to extensive original photography and interviews by Bruce Weber, All-American Volume Twelve: A Book of Lessons includes commissioned work by Poppy de Villeneuve and Carlos Charlie Perez, previously unpublished photographs by John Derek, and poetry by Frank O’Hara and Danielle Faith Green, a young Brooklyn-born writer. This is the first year that All-American is published in conjunction with teNeues Publishing Group, bringing Bruce Weber’s book to a much broader international audience.